I've read that you can only expedite due to medical and emergency reasons. What other possible reasons and how about yours, if you don't mind? And how did you do it? Thanks? Oh, thank you, that's great! Makes me consider doing that. 4 years in a long distance relationship here. 1 year married . May I know how much did you pay or how did you do it? maybe a link perhaps. Just follow the format and where to send it. I sent it after I paid anduploaded everything on ceac. Then they approved my expedite request after 2 days from the time sending it. Thank you so much. You give me hope. Been worried with the whole waiting game since it takes longer this time. Best of luck on your papers. did you get your interview date? Does it show "Ready" in your CEAC. If case is still in transit, you should call nvc and ask to speak to a supervisor and ask them why Such a long delay. 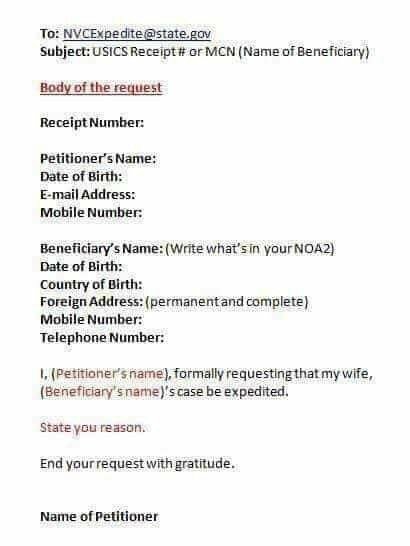 Even I thought cases were sent electronically nowadays. Your case has to reach the embassy before anything else can be done. So that's the number one priority.